Are you looking for a pet that's unique and out of the norm, but without losing the cute friendliness that makes animals adorable? These 5 exotic pets might be for you. Sugar gliders are small and adorable marsupials; meaning they begin their life in a pouch. As pets, they're adorable, playful and entertaining companions. They're social animals that are particularly active at night, so if you decide to get one, it might be better to get two. 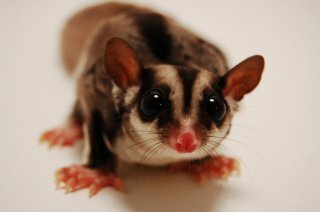 Sugar gliders are clean pets that need lots of love and attention, and can live up to 12 years in the right conditions. Though these furry marsupials aren't aggressive, they will bite if they feel threatened. 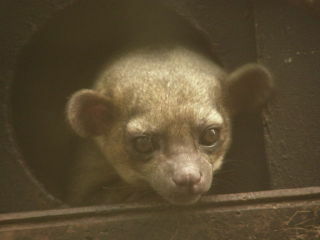 Kinkajou have also been called honey bears, and make cute, affectionate, and friendly pets. These adorable companions are about the size of a cat, and are covered in a down, almost plushy fur. In spite of their sharp teeth, these furry animals primarily eat foods like mango, egg and banana. If you're interested in getting a kinkajou, consider that they're nocturnal creatures. They don't sleep at night, and tend to make a lot of noise. If this is a concern for you, it might be best to consider a different pet. 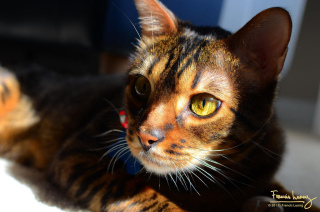 Bengal cats are affectionate, intelligent, and active animals that, though each one has its own personality, have a temperament that's very similar to a dog's. Bengal cats were created by cross breeding house cats and exotic cats. Though they look like they just walked out of the Savannah, owners of bengal cats rarely report any problems beyond normal house cat tendencies, like clawing on the furniture. Squirrel monkeys are probably the most popular primate to own as a pet, and it's easy to see why. Not only are they cute and fun to play with, but they're affectionate bundles of energy. 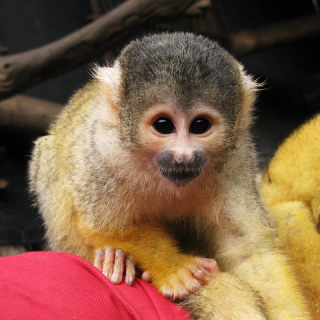 Squirrel monkeys are extremely social, and require more attention and exercise than most cats and dogs. Luckily, they're easy to house train, however, some of them will spray. If you get one, raise it while it's young if possible, and keep a close eye when it's around kids. They will bite if threatened. 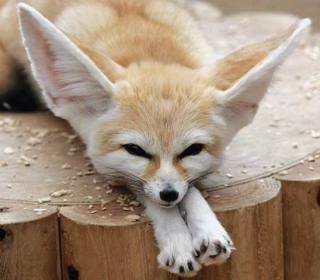 Fennec foxes are the smallest members of the fox family, and possibly some of the cutest. Though they're very much like dogs, they're a little more wild, and therefore will require careful socialization and extra precautions to protect against escape. They're very active animals that love the sun, and will need lots of exercise to stay happy and healthy. Fennec foxes aren't intimidated by strangers, and friendly to everyone. Younger fennec foxes do have the potential to bite, but only when cornered or extremely intimidated. Thinking of getting a cute, exotic pet? Keep in mind that, though they can be friendly, they're often higher maintenance than the average pet. If you're thinking of buying one, check to make sure that the animal is legal in your area. Take good care of your pet, and have fun! A Goat On A Hippo?!?! The Animal Video Of The Day!! !